I really like it when it appears that companies think things through. So if you are going to offer a tri-band mobile like the UV-2501+220, you should probably sell an antenna to go with it. And that's just what Baofeng Tech is doing. They are offering the Nagoya TB-320A tri-band antenna ($57.95) and Nagoya RB-35 5/8 NMO Mount Magnet ($22.99) - details of each below. 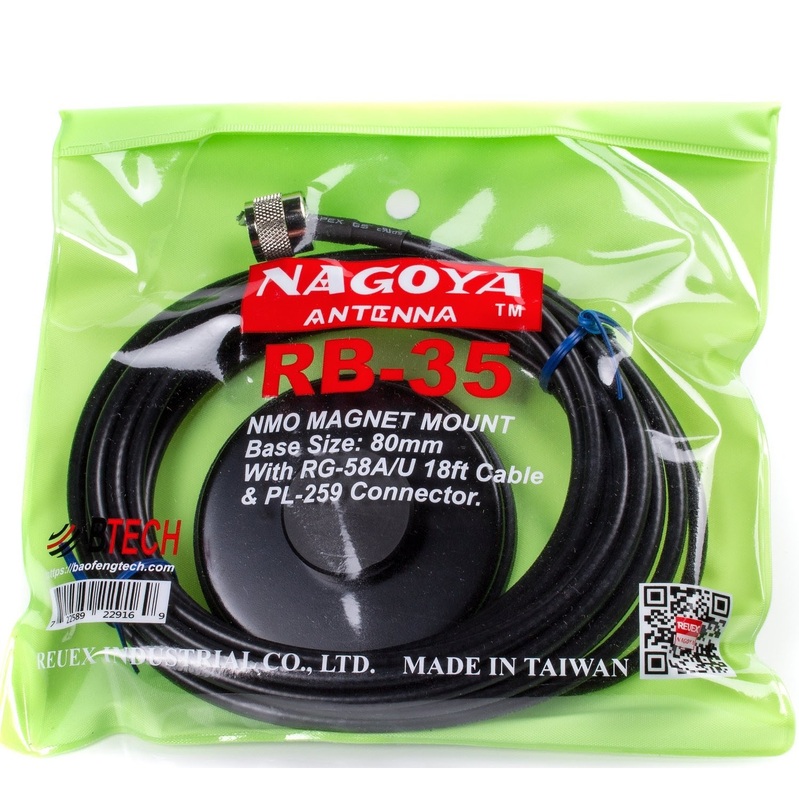 The Nagoya TB-320A is a 39 inch tri-band UHF (PL-259) mount antenna with up to 5.5 dB of gain. It is designed to be used with your mobile or base radio. 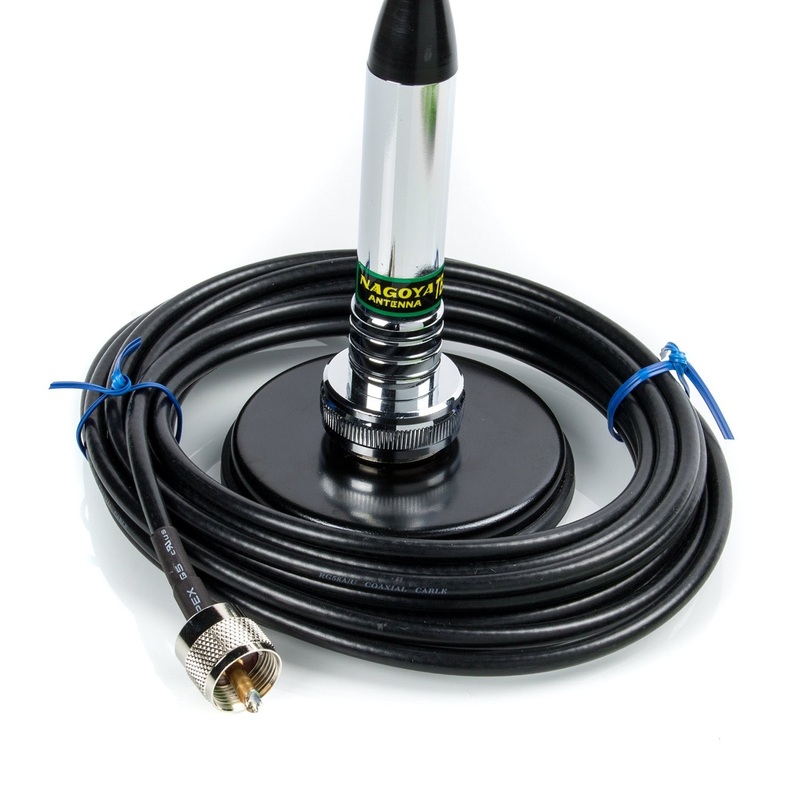 An included SO-239 to NMO Adapter allows for flexible installation to both UHF and NMO set-ups. Fold over design allows the Antenna to Fold-Over which allows you to easily put the antenna down in parking garages or in other places where height matters. 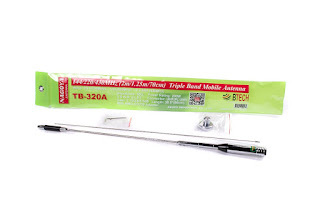 The Nagoya TB-320A triband is a 2 meter, 220 MHz (1.25 meter) and 440 MHz mobile antenna. It is a 1/4 wave on 2 meters providing 2.15 dB gain and a 1/2 wave on 220 providing 3.8 dB gain and a 2 5/8 wave on 440 MHz providing 5.5 dB gain. 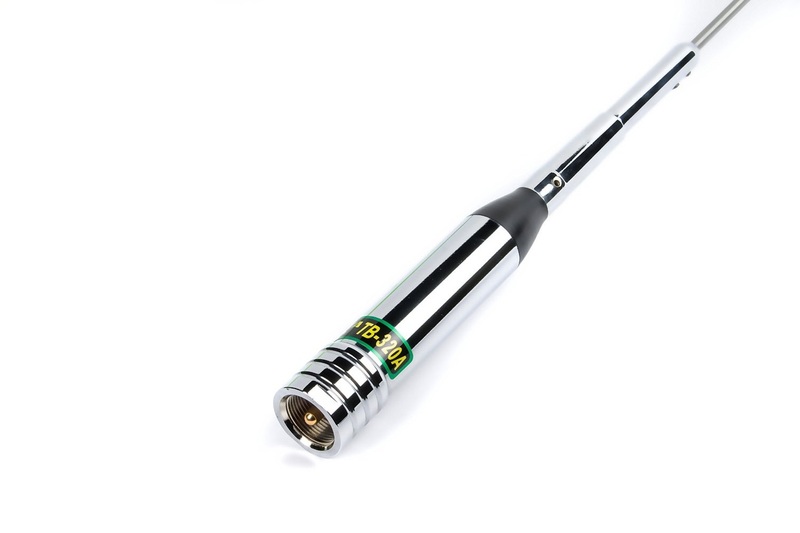 This antenna can handle up to 200/100/200 watts. Included in the package is a SO-239 to NMO adapter. 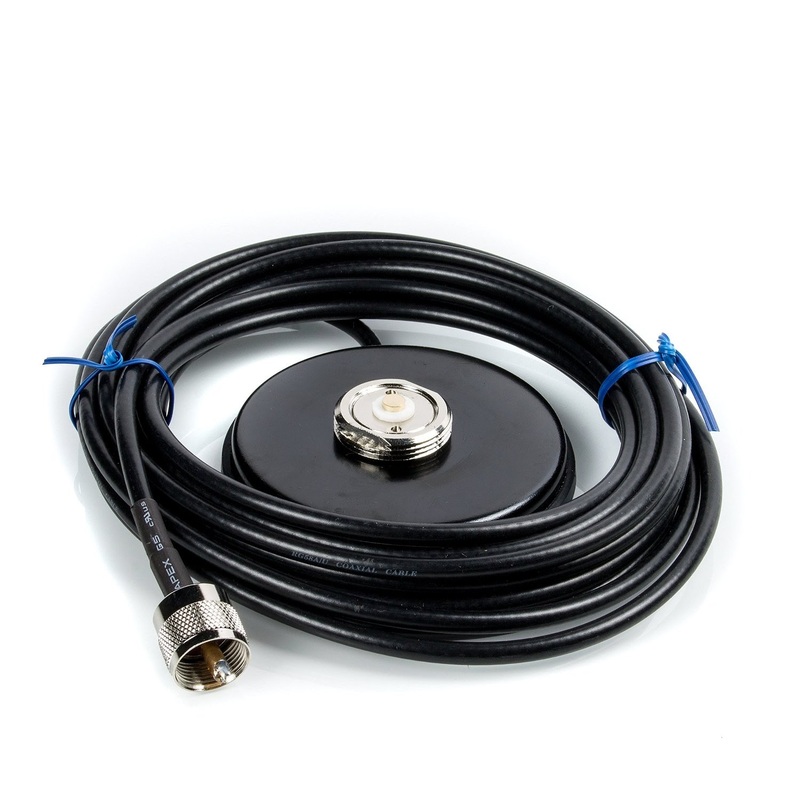 Nagoya Antenna magnet NMO mounts are premium quality magnetic antenna mounts with very good holding power. They are a heavy 2 lb magnet mount (durable hold) with a 3 5/8" diameter base, and are recommended for antennas up to 45 in. tall. So add the UV-2501+220 radio, the antenna, the mount - and you are ready to rock and roll mobile! I'm very tempted to buy this new radio, but I'm anxious that it might have the same low mic gain my BF-F8HP has. Do newer radios from Baofeng have that problem? I'm not aware of that problem. I get reports that I sound better than I did with my Kenwood tm-742a. I've often been told that I'm too quiet when using a Baofeng. 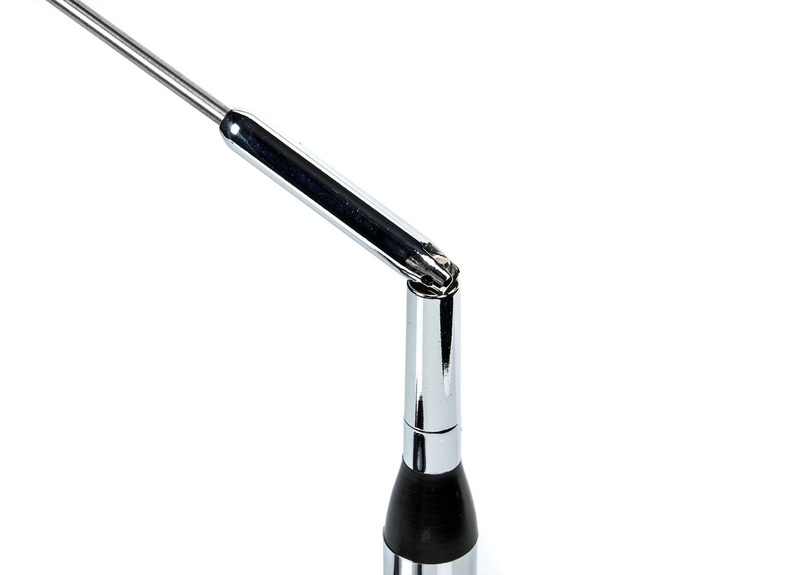 The UV-2501+220 in menu 48 (mic gain adjustment)default setting is zero (0), resulting in low audio reports. It should be adjusted up to around 20-25. Also, the TB-320A triband mobile antennas, as shipped from Btech in 2017, have defective NMO-SO239 adapters. These do not have adaquate spring tension to maintain center pin contact with the center contact on the NMO mount. Don't exchange as they will just send more of the same. Get the Comet AD-15M adapter from HRO, for $17.95 and be done with the problem, for good!